all of your products on Amazon. Whether using FBA, merchant fulfilment, or selling directly to Amazon as a Vendor, Futura helps our clients achieve greater visibility, more sales and control over their products. In addition to direct contact with our knowledgeable international product team, our clients have access to Futura our award winning Product Intelligence platform, which integrates with Amazon. Futura imports all your ASIN listings from Amazon and gets to work on cataloguing, tracking and optimising performance on Amazon. Futura looks at your products performance within and outside of Amazon. Futura provides advanced reports and data insights to continually increase your sales performance across Amazon. Quickly see the performance of your products and campaigns. See the work our team performs on your products in real-time and see your ROI. The Futura Dashboard is intuitive and intelligent, giving a high-level view of your sales statistics and individual products through which you are able to dig deeper for further detail. Futura reports across all sales, performance, operational and stock metrics. There is often a gap between what you think your products do and how your customers actually experience those products. Futura’s aim is to narrow that gap, giving automated insight from product performance data to create data-driven decisions for businesses. Futura reports directly from Amazon on current stock levels and forecasted availability. Product stock insights allows us to understand movements and trends. Futura is also able to alert on low stock and return issues. Futura helps manage demand and forecasting across the year. It also integrates with the campaign manager to ensure products, which may be sent back due to overstock, are covered by sales campaigns. Futura will alert you when an Amazon Purchase Orders and Bulk Offers have been received and you can accept/reject this order via Futura, after checking your current stock levels. All available within the Futura Application, ensuring a consistent and accurate view to the end user, every time. Check the stock levels of your products within the Product Catalogue Dashboard, giving you an at-a-glace view of product stock. Work with the Futura team to optimise your stock levels and receive alerts when these levels become low. 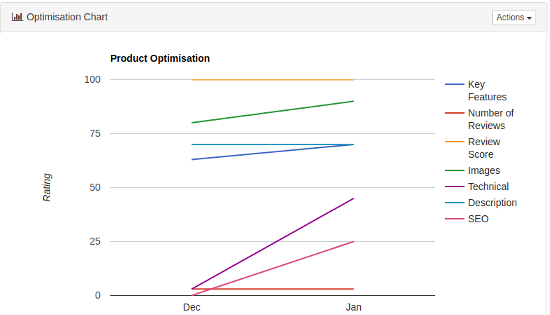 Dig deeper into each product page and view the Intelligent Demand Forecast graph to take the guesswork out of future orders. When it comes to effectively managing and optimising your Amazon Sponsored Ad Campaigns, metrics are everything. Futura captures each metric in detail so that adjustments can be made for the optimum ROI. Futura gives a high-level view of current and past Campaigns, including a Campaign summery of achievements. Dig deeper for more detailed successes for each Campaign. Futura’s operating system connects real things to the digital world giving you the data to realise big questions, such as what features will attract consumers to my product and how do customers perceive it relative to competing products? Using Futura for your business will enable you to process and analyse different types of information to answer new questions and uncover unmet needs.